Designed by debi, the Denya is one of our bestsellers... and this particular one is a one-of-a-kind piece! 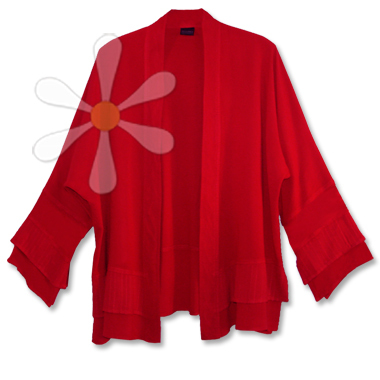 It's dyed in our RUBY while its fluttery little layers are in shadow boucle susti... fabulous! For details about the Denya, see its regular page here.